Providing the best in janitorial services throughout the DMV area. We use the latest in data processing and technology to serve you. As your partner, we are here whenever you need us. Our proprietary system assures nothing is overlooked. Proactive communication is the cornerstone of everything we do at Total Quality. Since 1993, Total Quality has provided the best in janitorial services to the leading property management firms and building owners in the Metropolitan Washington area. Total Quality Building Services is not just a Janitorial provider. Through our commitment to technology and communication, we are changing the way we interact with our clients and tenants. If you want to work with a comprehensive janitorial provider in Commercial Real Estate (CRE) who is on the cutting edge and has a proven track record of excellence for over 25 years, then call us today! Total Quality’s approach is to focus first on clients needs. Before a contract even starts, we take the time to meet with every tenant to understand the needs of each tenant, to ensure a flawless transition of services. In doing this we can ensure that from day one, nothing gets overlooked. Our services include comprehensive janitorial services for the Commercial Office Real Estate industry (CRE). Ancillary services include floor care, window washing, pressure washing and much more. Our Quality Assurance system is one of the most comprehensive inspection programs in the cleaning industry. 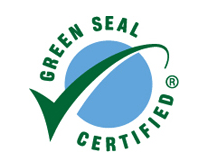 We’ve been awarded the GS-42 certification, one of the most rigorous standards available in the cleaning service industry. Our highly trained team is ready to meet and exceed your needs and put the Total Quality system to work for you.